— Assessing students’ grasp of statistics: UF mathematics education researcher Tim Jacobbe is leading a multi-center effort to create high-quality testing instruments in statistics, which will help teachers keep middle and high school students on track for meeting rigorous, new national math standards. A $2 million grant from the National Science Foundation supports the four-year effort. — Advancing common core practices in algebra: Tapping into the statewide teacher network of its Algebra Nation program, the UF Lastinger Center is building an online professional development network of Florida algebra teachers to advance their understanding and practice of the national common core standards in algebra. The Bill and Melinda Gates Foundation has invested $250,000 into the project. — Problem-solving in engineering: In a National Science Foundation study designed to advance engineering education, College of Education specialists in education psychology and qualitative research have teamed with UF engineering professors to meticulously examine the learning and critical-thinking techniques used by students to solve engineering problems. — iPad testing for preschool learning disabilities: After a pilot study, a team of UF and Georgia Southern University researchers in special education and education psychology are poised to start large-scale field testing of a battery of preschool tasks performed on an iPad that shows promise in identifying young children at risk for learning disabilities. — Helping dental students’ communicate better with patients: Linda Behar-Horenstein, a UF Distinguished Teaching Scholar and professor in educational leadership, is teaming with UF College of Dentistry faculty in developing a standardized instrument for measuring dental students’ culturally-sensitive communication skills in interactions with their diverse patient population. 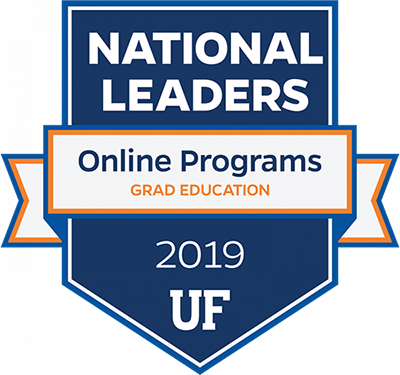 The assessment tool will ultimately help UF dental professors work with their students to improve those skills.